WINRAR 4.20 is a powerful archive manager. It can backup your data and reduce the size of email attachments, decompress RAR, ZIP and other files downloaded from Internet and create new archives in RAR and ZIP file format. Changes in RAR compression RAR general compression algorithm is optimized for better utilization of several processor cores. While some speed gain is possible even in single processor mode, best results are achieved in multi-core environment. Speed gain depends on data type and average file size. Several cores are utilized more efficiently when compressing large files. WINRAR 4.20 text compression algorithm cannot utilize several CPU cores efficiently, so its performance in multiprocessor environment is much lower than for general algorithm. Also its decompression speed is much lower than in general algorithm regardless of CPU number. So we decided to disable the text algorithm by default. If you need maximum possible compression ratio for plain text data regardless of speed, you can enable the text compression in “Advanced compression parameter” dialog. Press “Compression” button on “Advanced” page of archiving dialog to access it. You can also change this option permanently in default compression profile; In the command line mode the text compression can be enabled with much switch. “Fastest” (-m1) compression mode also supports several processor cores now. In 4.11 it could use only a single processor core. WINRAR 4.20 general decompression algorithm speed is slightly improved,though not same extent as RAR compression. RAR decompression is not able to use several processor cores, so its performance does not depend on a number of cores. Changes in ZIP compression: now ZIP compression supports several processor cores resulting in noticeably higher performance in multi-core environment. Single CPU ZIP compression is also faster than in 4.11; Memory use for ZIP compression is increased to about 15 MB. Recovery volume creating and processing can use several CPU cores resulting in higher speed. Though, typically hard drive seek speed is a limiting factor for recovery volumes, so this gain is most noticeable when working with solid state drive. Now the allowed value for -mt switch is 1 – 32, not 0 – 16 as before. “Find files” command can search data in 7-Zip archives. Previously “Find files” did not support .7z archive format. 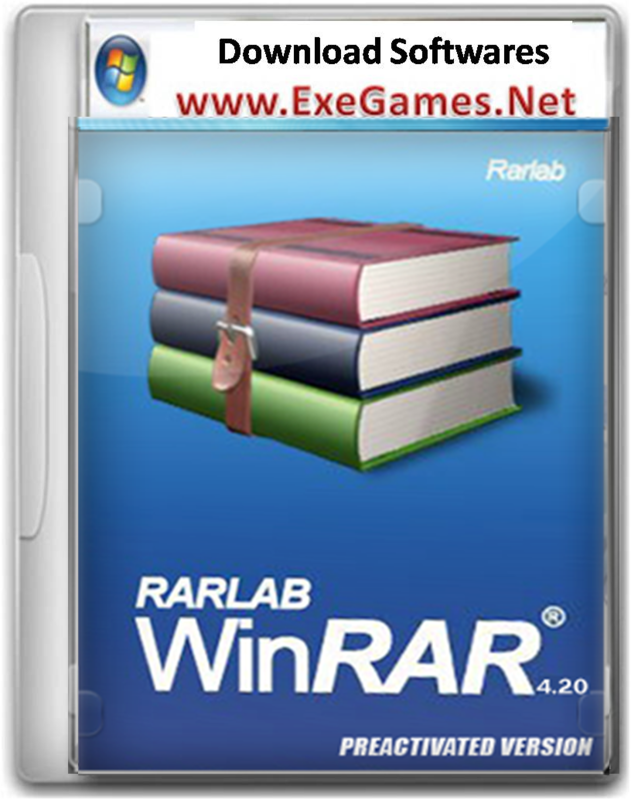 Windows 2000 is not supported by WINRAR 4.20 and WINRAR 4.20 self-extracting modules anymore. “Save current settings” button in “Advanced SFX options” dialog is now available only when converting an existing archive to SFX. Options saved with this button are applied only to convert to SFX operation. If you create or update SFX archive, only SFX options stored in default compression profile are used. Options saved in “Advanced SFX options” dialog are ignored for these operations.